Includes a Soft Ice® Head and Jaw Wrap (#HB), an Soft Ice® pack, and a Thera-Temp® Moist Heat Eye & Sinus Wrap (#MHE). 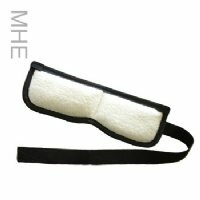 You can also add a Thera-Temp® Moist Heat Cervical Wrap (#MHC). 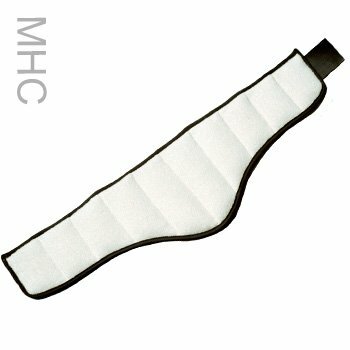 Add a Thera-Temp® Moist Heat Cervical Wrap and Save 10%: Select One Yes, I'd like an #MHC! - Add $32.72	No thank you. *Deluxe option available! You may wish to add our best-selling moist heat therapy wrap: the Thera-Temp® Moist Heat Cervical Wrap (#MHC), which includes one (1) 3" x 27" and one (1) 2" x 8" hook and loop tab. This wrap can be used on the head, neck, or abdomen. This compression wrap uses one (1) 3" x 8" Soft Ice® Packs. Cold therapy provides excellent drug-free pain relief on the forehead, over the eyes, or across the jaw. Patented formula stays highly flexible and comfortable right out of the freezer! Transfers heat out of the injured area much faster than competitors' gel packs! Microwaveable at a medium heat setting. When used as a heat pack, Soft Ice® retains its consistency and does not become a liquid. Compression wrap is designed to deliver maximum cold or hot therapy with a gentle, adjustable compression. Wrap holds reusable Soft Ice® packs comfortably on specific target body locations while still allowing freedom of movement. No need to hold the pack on the body! Just position over targeted area and secure with hook and loop tab closure. Use this soft, cotton-backed wrap for relief from headaches, migraines and much more! Store the Soft Ice® Packs in the freezer. Remove when ready and insert directly into the wrap. Position over the targeted area and secure with hook and loop tab closure. For acute pain, use cold therapy during the first 48 hours and alternate with heat after the swelling goes down. For chronic pain, follow with moist heat therapy. Our microwavable moist heat wraps provide convenient and effective moist heat therapy. Professional-quality wraps use therapeutic, non-organic beads that collect and hold moisture from humidity in the air. No water needs to be added! Beads are non-organic; they will never break down, decay, or develop an odor. Constructed of soft, all-natural cotton fleece on the side nearest the skin, and an insulated multi-ply fabric with vapor barrier on the outside to direct the moisture and heat toward the body. Size: 10" x 3.5" wrap with a 3" x 14" attached elastic strap with a hook and loop tab closure. 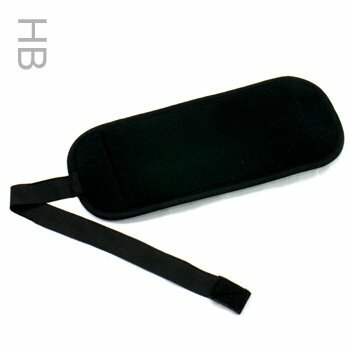 Color: Black exterior with white cotton fleece interior. Fold the wrap so the white fleece side is inside the fold, with the black side out. Place in a clean microwave, alone, for the recommended time period on the tag. Remove from the microwave and test for temperature - if the wrap is too hot, allow it to cool before using. If it is not hot enough, refold and put back in the microwave for an additional 10 seconds. Retest. What are the benefits of the kit? 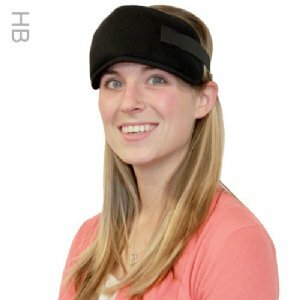 The Migraine & Headache Pain Relief Kit (#MHPRK-2) offers both cold compression and moist heat therapy with two convenient wraps. Applying hot or cold compresses to your head has been shown to help alleviate symptoms of migraines. Cold therapy numbs the area to dull the pain, while heat can help relax the tense muscles contributing to the headache. For chronic pain, many doctors recommend alternating cold and moist heat therapy. Save 10% when you purchase the kit!